It’s easy to forget just how influential French cooking is, how it’s still widely regarded as the ‘mothership’ of cuisines, the place where all the best techniques, the best ideas, the best recipes come from. If I had to choose just one cuisine and eat it for evermore, it’d be French. That might sound treacherous to my fellow Brits, but we have to face some things – British food has come on in the last few decades, but there’s always been a sense of the ‘catch-up’ about it. And who were we trying to catch-up to? Classical French cuisine is a stable canon of recipes, but there’s plenty more to it than just those familiar recipes. What interests me most are the edges, where people take something and give it a bit of a spin, where they let their own influences leave their mark. For a start, Dansereau isn’t French. Not only that, he now cooks in New South Wales. The French cuisine he presents here has many twists and turns, influenced as it is by North America and Australia. There are plenty of French staples, presented in a clear and straightforward way, but there are others that are Canadian through and through. A sugar and walnut pie, for example, is a quintessentially Canadian dessert, but cooked as a tarte, it wouldn’t look out-of-place in a Parisienne patisserie. It remains resolutely Canadian, a Québécois classic. There are other nudges, too. Dansereau’s crêpe recipe uses self-raising flour and baking powder to make his pancakes thick and substantial in that North American way. He recommends serving them with – and I barely need to say this – maple syrup. There’s a strong showing for other breakfast recipes too, including a butter brioche, a marmalade loaded with almond and cognac and the most gloriously simple breakfast idea I’ve seen for a long time – take one crusty bread roll, slice the top off, hollow it out, crack a couple of eggs into the void and bake until the eggs are just set. Lay a piece of crisply grilled bacon over the top and serve to astonished diners. If you really want to show-off, how about some Gruyère at the bottom of the roll, or maybe some pancetta? Dansareau’s book is arranged around breakfast, lunch and dinner, with extra chapters to cover cooking for kids and desserts and baking. There are plenty of good ideas in each section – next up for me is a pork and duck cassoulet, a slow-cooked beef recipe that uses cheeks gently casseroled in wine, cooked in the embers of a fire for a couple of hours, and then maybe a boeuf en croute for something quintessentially French. The ‘cooking for kids’ section slips by almost unnoticed, which is essentially a good thing. It doesn’t look out-of-place, and all the food in it is perfectly good. These are not ‘dumbed down’ recipes, it’s just that some of them come in smaller portion size. 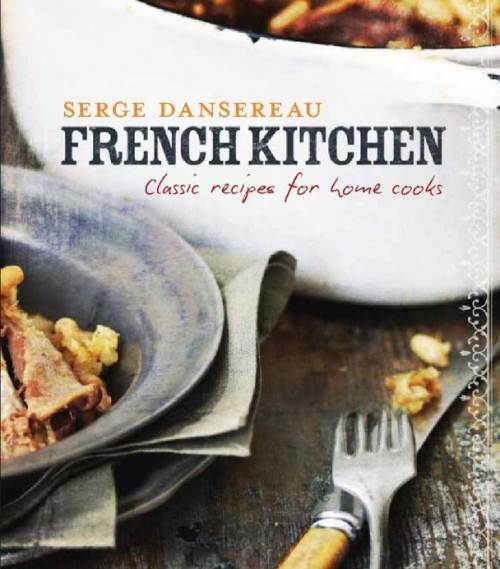 I’d be more than happy with a couple of Dansereau’s mini chicken and leek pies for lunch, as would my kids.
. It’s a collection of accessible and well thought through modern French recipes from a chef who isn’t afraid to let his influences show. Hi to every , as I am truly eager of reading this website’s post to be updated regularly. It consists of good material.